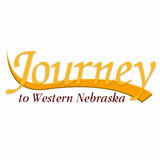 Legacy of the Plains wishes to thank our partners in welcoming visitors to western Nebraska. 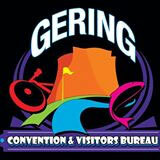 Gering sits amidst natural scenic beauty with a population of 7,800 residents. We offer the perfect combination of ambiance and history, with the best of modern facilities and services. No matter what brings you here, you’ll find a lot to your liking. Two towering landmarks show the way. 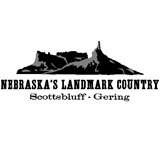 Scotts Bluff National Monument and Chimney Rock stand silent guard over the Westward Migration Trails for you, just as they did for the thousands before you.Touch the history (and have some fun on the way) in Nebraska’s Landmark Country. Ever stood at the base of a 70-foot-tall waterfall? Faced the fierce choppers of the long-extinct oreodont? Looking to water ski, bike Brady or ride the Niobrara River Ranch Trail? All this and more to explore when you visit Western Nebraska. Amazing sunrises and sunsets; wide-open spaces and endless skies – these are what you will experience in Western Nebraska. 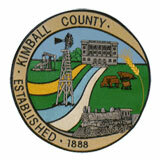 Clean air and water, friendly people and a small-town atmosphere are yours to enjoy in Kimball-Banner Counties. 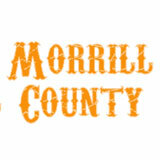 Morrill County is a hidden treasure trove of Amerian Pioneer history. Come see the famous Chimney Rock, Courthouse and Jail Rock, research history at Pioneer Trails Museum and Bayard Depot Museum, and discover the diversity found in Morrill County. Great road trips are meant to be shared. 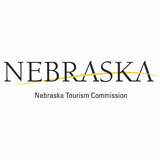 And whether you’re looking for an exciting family vacation or a relaxing getaway with that special someone, Nebraska is the perfect destination. Directly adjacent to Legacy of the Plains, this National Park unit features spectacular panoramas and Oregon Trail history. A geologic marvel that guided travelers on the Oregon Trail. Once a fur trading post, later a military fort and Pony Express station, Fort Laramie played an indispensable role in the settling of the West. Prime swimming, boating, fishing, and water sports on Nebraska’s largest lake. Western Nebraska’s only zoo features interactive landscapes and experiential learning. Trails, picnic areas, and a nature center in a unique landscape of scenic forests and buttes. See ancient animal fossils, pioneer artifacts, and native American mementos. A charming, beautifully renovated 100-year-old barn for lodgings and special events. See how some of our ancestors lived in the 1890s and early 1900s. Compelling live performances, concerts, film series, and more in a historically-significant building listed on the National Register of Historic Places. Art gallery featuring rotating shows, plus classes and a gift shop, in a former Carnegie Library building listed on the National Register of Historic Places. Fishing, swimming, boating and an inland lighthouse—one of only 7 in America. Family-owned goat dairy specializing in artisanal cheeses. Pioneer machinery, tools, quilts, schoolroom, and more. History of settlement in Wyoming.